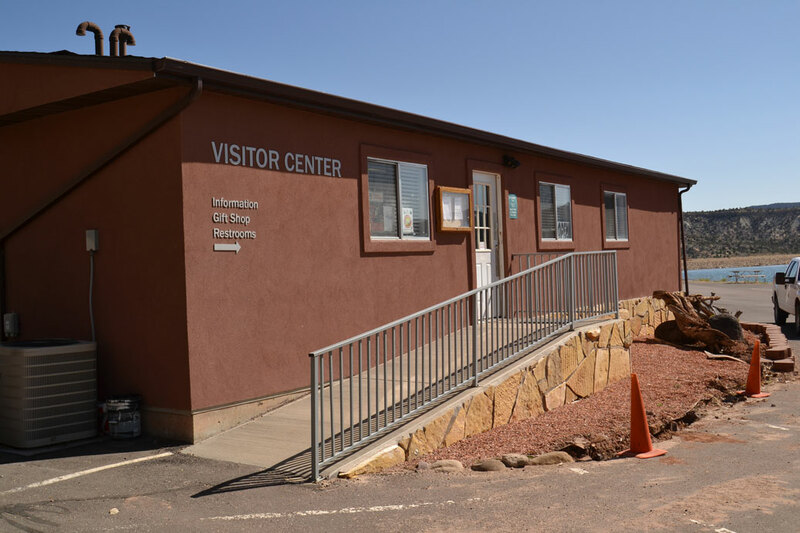 Located just a mile outside of the small town of Escalante, Utah, Escalante Petrified Forest State Park is a great place to spend an afternoon, check out some great scenery, and see some beautifully preserved fossilized wood. 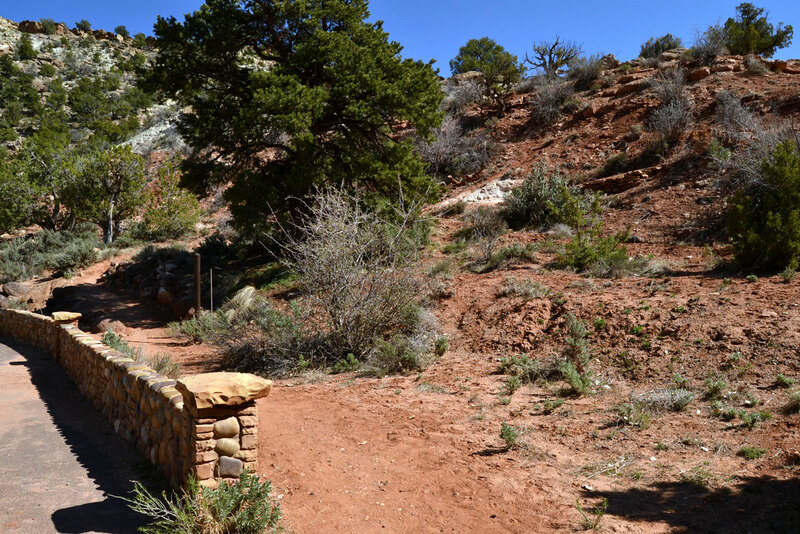 There’s one main hiking trail running through the park: The Petrified Forest Trail. As the name implies, the trail takes you past thousands of pieces of beautifully preserved wood. The trailhead is at the edge of the parking lot, right next to the large information boards. It starts out with some switchbacks, and gets fairly steep pretty fast. Nothing that a reasonably healthy person can’t handle, as long as you’re used to the elevation. After a while, the trail levels out to an easy stroll over a well-marked sandy path. 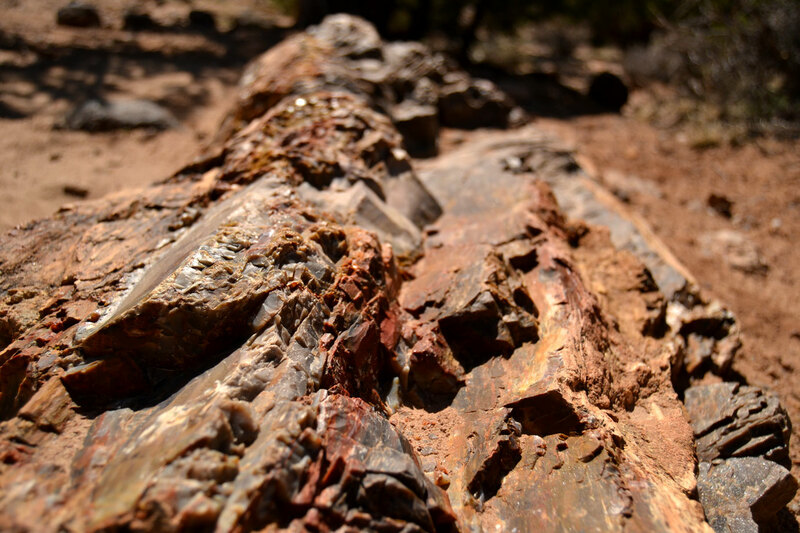 Once at the top, you’ll start to see the petrified wood scattered around alongside the trail. 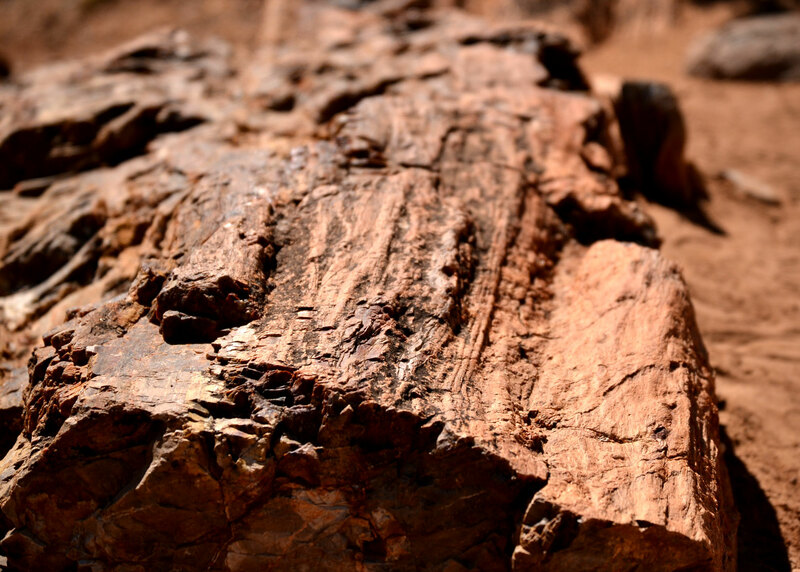 Petrifaction, the process of fossilizing wood, can happen in as little as 1,000 years. 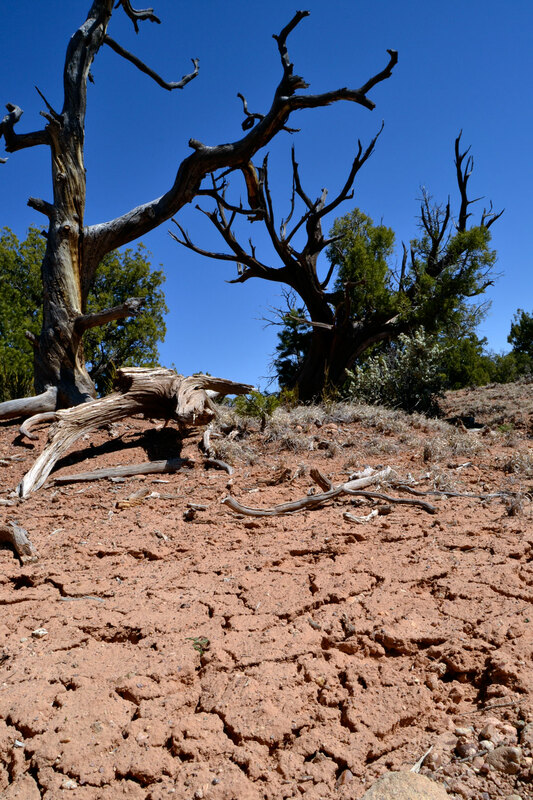 Petrifaction occurs when wood soaks in mineral rich water. The minerals gradually replace the organic structures, eventually turning the wood into stone. The colors come from impurities, such as iron, manganese or copper. Often, the original structure of the wood is perfectly preserved, right down to the molecular level. 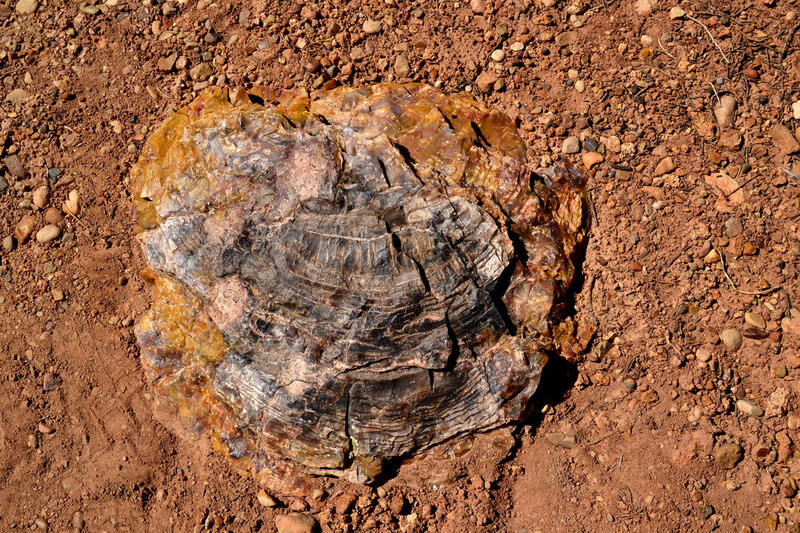 Because of the perfectly preservation of the wood, tree rings can often be see in petrified wood. 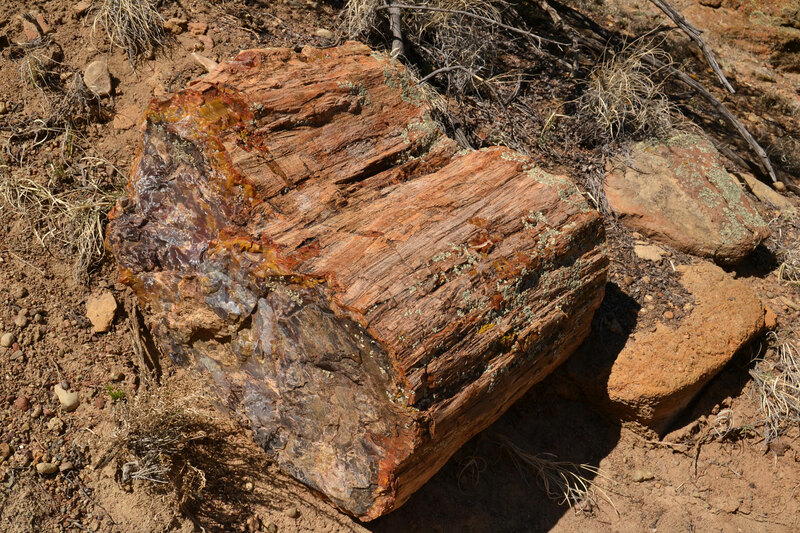 The rainbow of colors often seen in petrified wood comes from impurities in the quarts, such as iron, copper, or manganese. I love how the appearance of the bark on the outside is so well-preserved here. 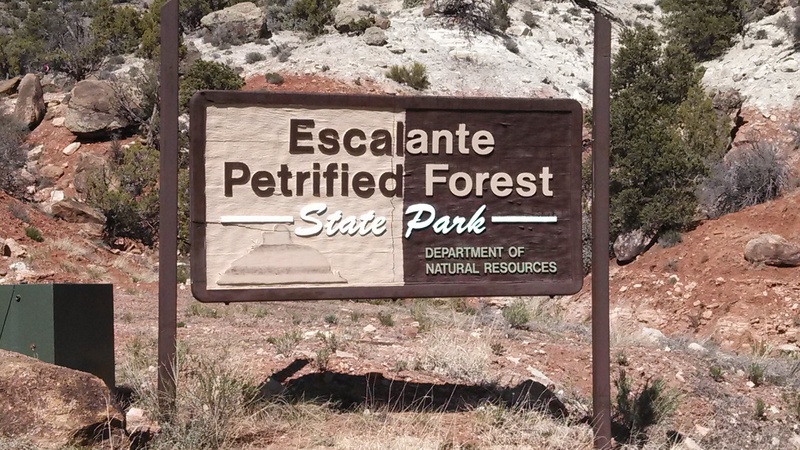 The Petrified Forest Trail is 1 mile. Looping off from it, the Trail of Sleeping Rainbows adds another .75 miles to your hike. It’s well worth it for the view at the end, and for the scattering of petrified wood all around. The park warns that it’s very strenuous. The terrain is steep and rocky, but I never found myself scrambling at any point. 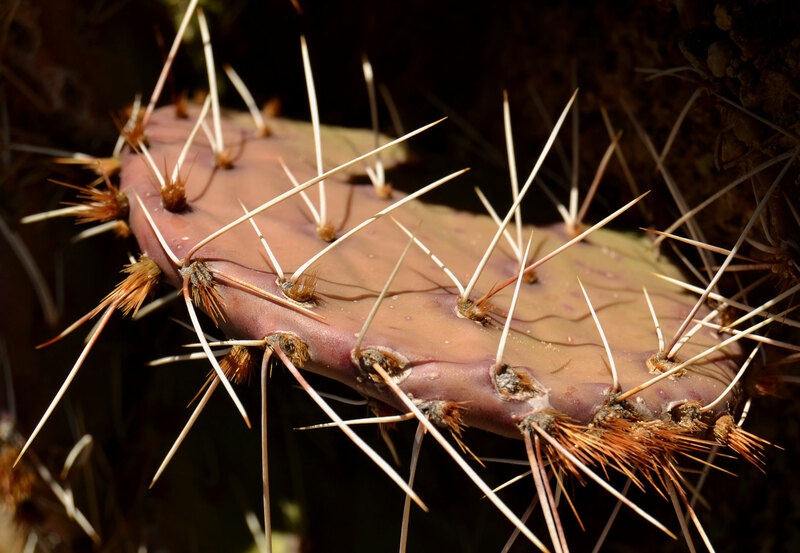 If you were alright on the steeper parts of The Petrified Forest Trail, then this one shouldn’t pose a problem. 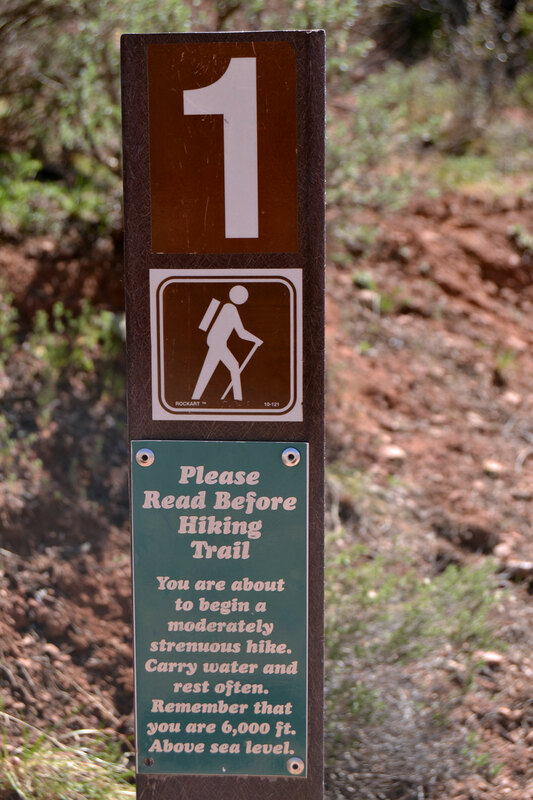 In total, the full trail can be done in about 2 to 2.5 hours, with plenty of photo stops and breaks. Overlooking Wide Hollow Reservoir, and the Visitors Center. Just across the parking lot from the trailhead is Petrified Cove Trail. It’s a short stroll through a little garden scattered with chunks of petrified wood. 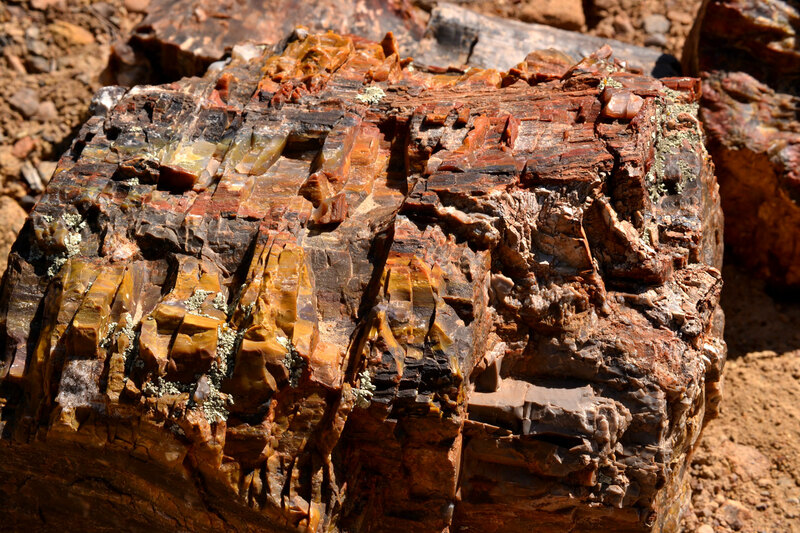 If you don’t have time to do the whole Petrified Wood Trail all the way out to the cliff, then this is a good place to see a large cluster of petrified wood, including some fairly large pieces. 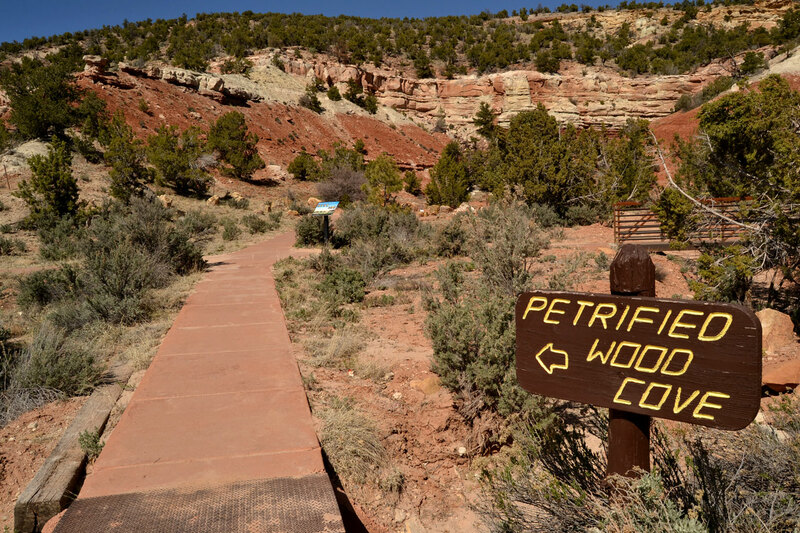 Just across the parking lot from the Petrified Forest Trail, the Petrified Wood Cove give you a nice easy stroll through a garden scattered with native plants and petrified wood. The Wide Hollow Reservoir is right next to the Visitors’ Center. 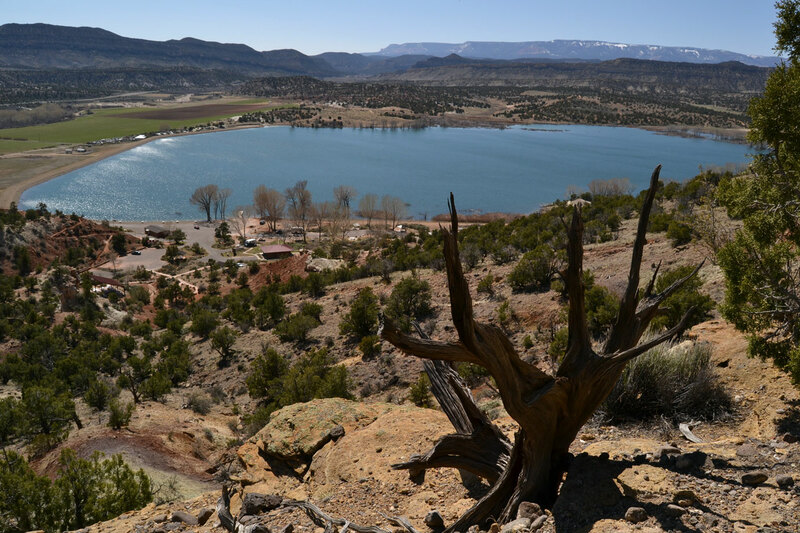 Constructed in 1954, the reservoir provides water for Escalante and the surrounding area. Swimming, fishing, and boating are all permitted. There are a few picnic tables, too, if you want to relax and have some lunch after hiking. 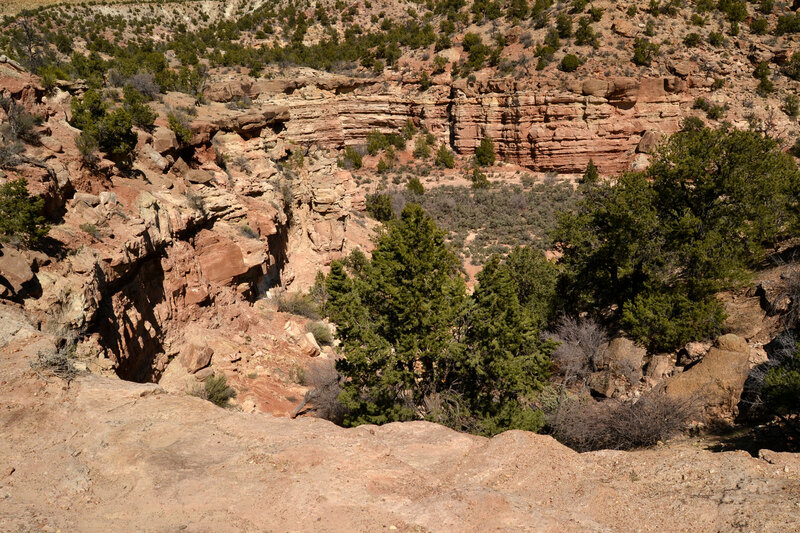 The turn is just one mile west of Escalante on Highway 12, and is well-marked. Follow Reservoir Road for about half a mile to the park entrance. The park has several camping sites with a shower and bath house, picnic tables, and a pavilion area. There’s also overflow camping. Just outside of the park is a dump site for Rvs. As of March 2014, entry is $8 per vehicle (as many as 8 passengers), or $4 for pedestrians, motorcycles, or bicycles. Camping is $19 per night for a basic site, and $25 for a hook-up.